Editor’s Note: The following is from a review of INSIDE HONORS 2018-2019 on Amazon. I have obtained permission from John Henahan, the reviewer, to publish his thoughts here. Two years ago, I began my journey to help my high achievement son find colleges that were a good fit for him and personal enough to challenge him and help him grow as a person. My initial efforts were deeply disappointing. Most elite colleges were far above our ability to pay, yet somehow the school calculators suggested that we could pay the full cost. Only a select few of the top schools offer merit aid, and in most cases it is very competitive. The options seemed to be middling schools (if we were lucky enough to receive a merit award) or our public in-state university system. Then I stumbled across the website run by John Willingham, which led me to the previous edition of this book. That book was very helpful on our college search. Now my son is a senior in HS and we are in the application process. Soon we will be in the decision process, and some of the schools we discovered in his guide are on the short list. I bought the updated version of this book to help us in making final decisions. I am happy to say the new guide is even more helpful than the previous edition. Read below for my review and see if this book might help you as much as it did me. As college costs continue to skyrocket and elite universities eliminate merit scholarships, the opportunity for high achieving students to attend such universities is diminishing. If your family is not wealthy enough to spend $250,000 or more for 4 years of college, it may seem that a public, in-state university is the only choice. But what if large classes and a focus on research over teaching are not the right fit for your high achieving child? Thankfully this amazing book by John Willingham will give you mountains of data on a little known option known as the Public University Honors College or Program. These programs differ considerably in their structure and Mr. Willingham’s guide will help you find options that are the best fit for the type of learner and person your child is. •Looking for a community of like-minded learners and enhanced access to research? This book will lead you to schools you may not have thought of. •Looking for lots of seminars with a discussion based, interdisciplinary focus? There are options for that as well. •What if I told you there was a community of less than 900 committed students in a university with over 25,000 undergrads. These lucky students share small classes, gain enhanced advising from the faculty and are groomed for prestigious awards such as Rhodes Scholarships? Such programs exist. Often these programs offer generous merit awards to assist the nations brightest young minds to attend. Mr. Willingham does an excellent job of separating the best programs from the also rans. He also teaches the reader how to ask the right questions about other Honors programs that may not be reviewed in the book. That way we are empowered with the tools to evaluate any program. Honors Programs / Colleges can be the best of both worlds; giving the more intimate learning experience of small school with the resources and experience of a large university. We have found schools that we never would have looked at for regular admission that are strong contenders for his decision next spring. If you have a high achieving child and are unable to afford the elite private colleges, I strongly recommend this book. In fact, I will be donating my copy to our school guidance office when finish with it. 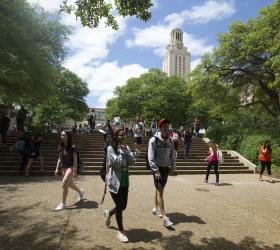 UT Austin President Gregory Fenves notified alumni and contributors on April 20 that new, four-year financial aid awards will begin in the fall of 2018 and be distributed to new UT students to help them graduate on time and with less debt. The need-based funds are for in-state students and will benefit almost 3,000 additional UT students per year. In 2016, UT Austin implemented a $15 million increase in financial aid that benefited thousands of current UT students. “This year, we will make that funding permanent,” Fenves said. According to the TAC website, the amount of funding a student will receive will depend on how much their family AGI is, as well as how much financial aid they have already received through grants and other scholarships. “For Texas families with an AGI up to $30,000, awards range from $300 to more than $11,000 per year to ensure that tuition is completely covered. The most prestigious merit award at UT Austin is the full-ride Forty Acres Scholarship, provided to 14-18 outstanding applicants each year from a list of more than 50 finalists. About 90 percent of the finalists are from the state of Texas. Students in the UT Plan II Honors Program are well-represented. The extremely competitive Business Honors Program and the Engineering Honors Program also have Forty Acres Scholars, and Engineering Honors also awards more than $5 million in merit scholarships on its own each year. Most of the honors programs at UT can grant a very limited number of OOS tuition waivers. Other recent aid initiatives include Completion Grants in varying amounts, awarded to students who are close to graduating but have unmet financial need that would keep them from finishing their degrees. One thing the annual Kiplinger Best College Values report tells us with regularity is that UNC Chapel Hill, Florida, and Virginia are wonderful values for both in-state and out-of-state (OOS) students. The three schools rank 1,2, and 3 in both categories for 2018 and are no strangers to lofty value rankings. Rounding out the top 10 for in-state value are Michigan, UC Berkeley, UCLA, Washington, UT Austin, NC State, and Maryland. The top 10 for OOS students are the aforementioned UNC Chapel Hill, Florida, and Virginia, followed by Florida State, UC Berkeley, Binghamton, NC State, Truman State, William and Mary, and Minnesota. Should Honors Colleges Charge Extra? If So, How Much? A recent, excellent piece in Inside Higher Ed, by Rick Seltzer, explores the pros and cons of public honors colleges’ charging extra fees (or differential tuition) in order to enroll and serve increasing numbers of honors students. At the end of this post is a list of honors colleges that have significant honors fees, and the fee amounts. Ten years ago, Barrett enrollment cost each student $250 a semester. Now, the fee is $750 a semester, or $1,500 per academic year. With the cost of in-state attendance at ASU now at $28,491, the honors fee adds about 5% to the total cost. Jacobs is in a position to know whereof he speaks; he has bachelors with high honors from Harvard, a Ph.D. from Stanford, and he had an endowed chair in biology at Swarthmore. Another argument is that state funding cuts have put public universities in a bind, and the extra fees for honors help expand those and other programs at the universities. In addition, public honors colleges (and programs) give highly-talented students in-state options that are in great need given the increased selectivity and arbitrary admission standards of elite universities. On the other hand, Bette Bottoms, dean emerita at the University of Illinois Honors College and a longtime leader in honors education, maintains that universities should value their honors colleges enough to put institutional money into them and not ask students to pay the costs. The Barrett model has influenced at least a few other honors colleges. The new Lewis Honors College at the University of Kentucky will charge a $500 annual fee. The namesake of the LHC, Tom Lewis, donated $23 million to his alma mater to create the new honors college. He is also an Arizona resident and longtime supporter of Barrett, who likely believes the Barrett model is a good one to follow. But not entirely. Dean Christian Brady, formerly dean of the well-known Schreyer Honors College at Penn State, recognizes the good work of Dean Jacobs at Barrett, but believes honors colleges should not be so physically separated as Barrett is on the ASU campus. He wrote at length about his philosophy on this site two years ago. The issue of elitism at honors colleges (and programs) is also a factor. Even though Barrett goes out of its way to connect hundreds of ASU faculty, honors students, and non-honors students through the extensive use of honors contract courses, the physical separation of the honors campus can be a negative for some while it is a positive for others. Our own view is that the extra fees can have an overall positive impact if they do not exceed, say, 5% of the in-state cost of university attendance and if the honors colleges have resources to assist students for whom the fee is a burden. Another way to measure the impact of the extra fees is to analyze the extent to which they might discourage students from completing the full honors curriculum. The honors college that charges the most in extra fees (actually differential tuition) is the Clark Honors College at the University of Oregon. There, students face an extra charge of $4,192 per year, which amounts to a 15.8% increase in tuition. Some scholarships to offset the very considerable charge are available after the first year. It may be noteworthy that Barrett and Clark have similar student profile stats, though Clark students have somewhat higher test scores (new SAT 1410 to new SAT 1350). The six-year grad rate for Barrett honors entrants was 89% and for Clark entrants, 82%. Oregon State Honors College has a differential charge of $1,353, not too much below the fee at Barrett. Oregon State honors entrants had a six-year grad rate of 87.6%, with a sizable portion of engineering students. The average (new) SAT at the OSU Honors College is about 1430. While this is not definitive data, it only makes sense that the greater the differential cost, the more honors students will be forced to balance the value of their honors education against the cost or simply conclude that they cannot afford honors at all. Editor’s Note: This is the second post in a new, lengthy series that will highlight ten or more public university honors colleges and programs that are (1) excellent academically and (2) offer substantial merit aid either through the honors program or the university as a whole. For many readers it will come as no surprise to learn the the University of Alabama and its honors college offers some of the most generous merit aid packages in the country to high-achieving students. Yet our recent visit to UA sites revealed an even larger range of excellent scholarships than we had thought were available. Before a listing of those awards (see below for national merit, in-state, and OOS), please know that the Honors College, despite being the largest in the nation (possibly as many as 7,000 students), nevertheless earned a 4.5 (out of a possible 5.0) rating in our latest book, Inside Honors. 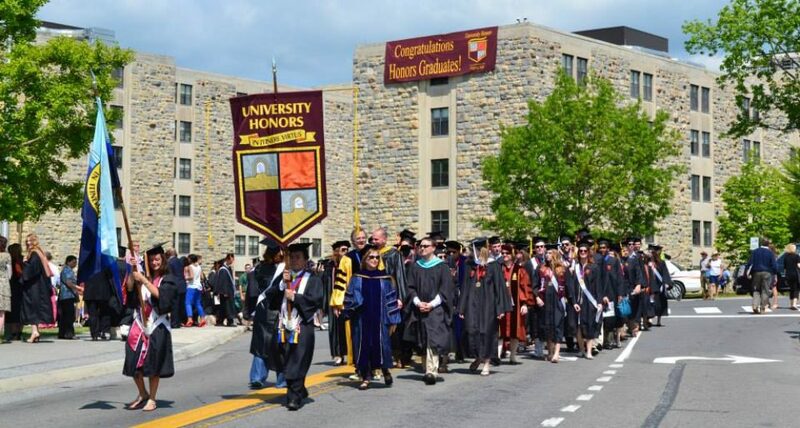 The major academic strengths of the college are a very large selection of honors classes, including honors sections in most academic disciplines; and an average honors class size of 26.6 students, even counting honors classes in the various departments. Honors students also do most of their honors work in honors-only classes, i.e., in classes that have few or no non-honors students. Excellent honors residence halls are another strength of the college. 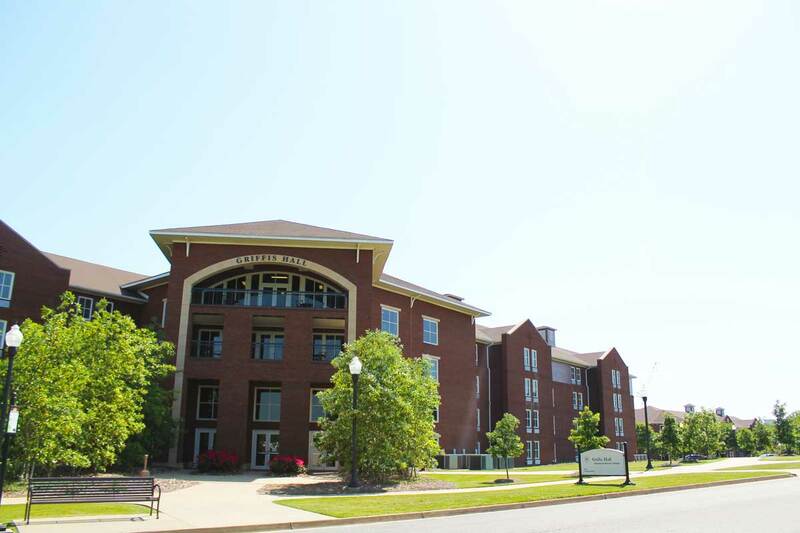 The honors residence community includes Blount and Paty Halls, but almost 60% of honors students living on campus reside in Ridgecrest North and South, while another 28% live in Ridgecrest East and West. Honors students are increasingly successful in winning prestigious Goldwater Scholarships, including the maximum of four allowed to a single college, in 2017. The award goes to outstanding sophomores and juniors who are working in the STEM disciplines. 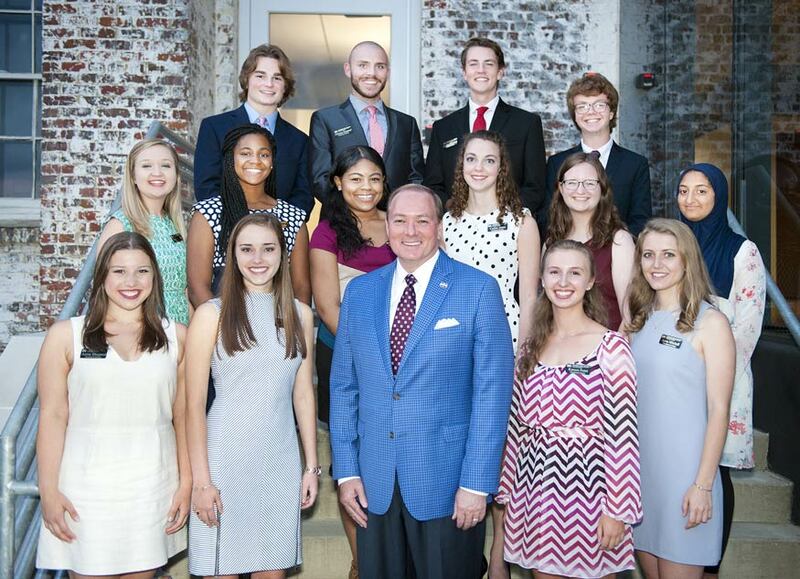 UA students have also won 15 Rhodes Scholarships and 16 Truman Scholarships. –One year of on-campus housing at regular room rate (based on assignment by Housing and Residential Communities. —A $3,500 per year Merit Scholarship stipend for four years. A student must maintain at least a 3.3 GPA to continue receiving this scholarship stipend. If a corporate-sponsored scholarship from the National Merit Corporation is received, the total value cannot exceed $3,500. (For example, if you receive a corporate-sponsored scholarship of $2,000 per year, UA will contribute $1,500 per year to reach the total stipend amount of $3,500. There is a one-time allowance of $2,000 for use in summer research or international study (after completing one year of study at UA). To be considered for the Academic Elite Scholarships, a student must be accepted as a member of the University Fellows Experience (UFE). The student must maintain membership in the UFE to continue holding an Academic Elite Scholarship. Complete information on the UFE can be found on the University Fellows website. The top Academic Elite Scholarship recipient will receive: Tuition, one year of on-campus housing at regular room rate, $8,500 stipend for the first year, $18,500 stipend for years 2-4, $5,000 study abroad stipend (to be used after at least one academic year is completed), a $1,000 one time technology stipend. Eligibility for the University Fellows Experience requires an ACT score of 32 or a SAT score of 1450 (evidence-based reading and writing plus math) and a high school GPA of 3.8 who is accepted into UA will be eligible to complete the University Fellows Experience application. 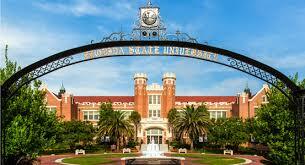 Applicants must first complete the Honors College application, and then must complete the UFE application. The general UFE application deadline is December 15. Crimson Achievement Scholar: A student with a 25 ACT or 1200-1230 SAT score and minimum 3.5 cumulative GPA will be selected as a Crimson Achievement Scholar and will receive $8,000 over four years ($2,000 per year). UA Legends: A student with a 26 ACT or 1240-1270 SAT score and minimum 3.5 cumulative GPA will be selected as a UA Legends Scholar and will receive $10,000 over four years ($2,500 per year). Capstone Scholar: A student with a 27 ACT or 1280-1300 SAT score and minimum 3.5 cumulative GPA will be selected as a Capstone Scholar and will receive $16,000 over four years ($4,000 per year). Collegiate Scholar: A student with a 28-29 ACT or 1310-1380 SAT score and a minimum GPA of 3.5 a student will be named a Collegiate Scholar and will receive $20,000 over four years ($5,000 per year). Foundation in Excellence Scholar: A student with a 30-31 ACT or 1390-1440 SAT score and at least a 3.5 GPA will be named a Foundation in Excellence Scholar and will receive $32,000 over four years ($8,000 per year). Presidential Scholar: A student with a 32-36 ACT or 1450-1600 SAT score and at least a 3.5 GPA will be selected as a Presidential Scholar and will receive the value of tuition, or $41,800 over four years ($10,470 per year). Students graduating with remaining tuition scholarship semester(s) may use these monies toward graduate school and/or law school study at UA. Note: These are the same requirements as those above for in-state students, but the dollar amounts are larger. Please note especially the extremely high value of the Presidential Scholarship for OOS students. Capstone Scholar: A student with a 27 ACT or 1280-1300 SAT score and a minimum 3.5 cumulative GPA will be selected as a Capstone Scholar and will receive $20,000 over four years ($5,000 per year). Collegiate Scholar: A student with a 28 ACT or 1310-1340 SAT score and a minimum GPA of 3.5 will be named a Collegiate Scholar and will receive $24,000 over four years ($6,000 per year). Foundation in Excellence Scholar: A student with a 29 ACT or 1350-1380 SAT score and at least a 3.5 GPA will be named a Foundation in Excellence Scholar and will receive $52,000 over four years ($13,000 per year). UA Scholar: A student with a 30-32 ACT or 1390-1480 SAT score and at least a 3.5 GPA, he or she will be named a UA Scholar and will receive $76,000 over four years ($19,000 per year). Presidential Scholar: A student with a 33-36 ACT or 1490-1600 SAT score and at least a 3.5 GPA will be selected as a Presidential Scholar and will receive $100,000 over four years ($25,000 per year). Students graduating with remaining scholarship semester(s) may use these monies toward graduate school and/or law school study at UA.